I’m still having issues with my internal webcam, and I went ahead and got an external one to solve the issue. I want to make more videos for book reviewing, and to talk about my author journey. But anyway here is the review. Cheese filled pretzels taste like those combo snacks. The M&M’s are still fresh. The cracker tasted good with the jalapeño cheese spread. The Sante Fe style Rice with beans was okay, but I loved the Mexican Style Chicken Stew. Overall it was a good meal for a soldier. MRE Review Monday even though it’s Thursday!!! Another military ration review, and meanwhile I’m trying to finish the first AngelWitch book. I hope you enjoy this, and I will see you in the next post. 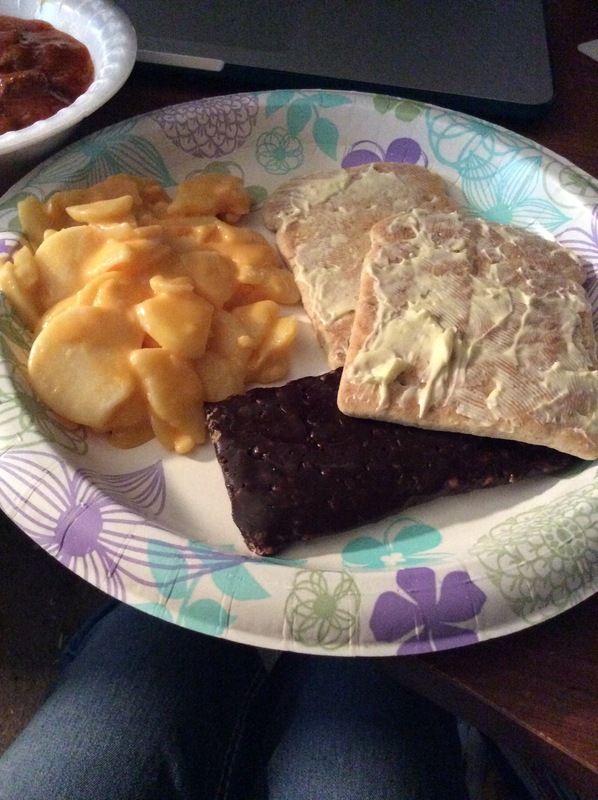 Meals Ready to Eat, and the History of why I started…. I’ve been reviewing MRES for a while now, and the thing that got me into it was the research I did to make The Killer Contract Agency, and I wanted it to be based off the military. 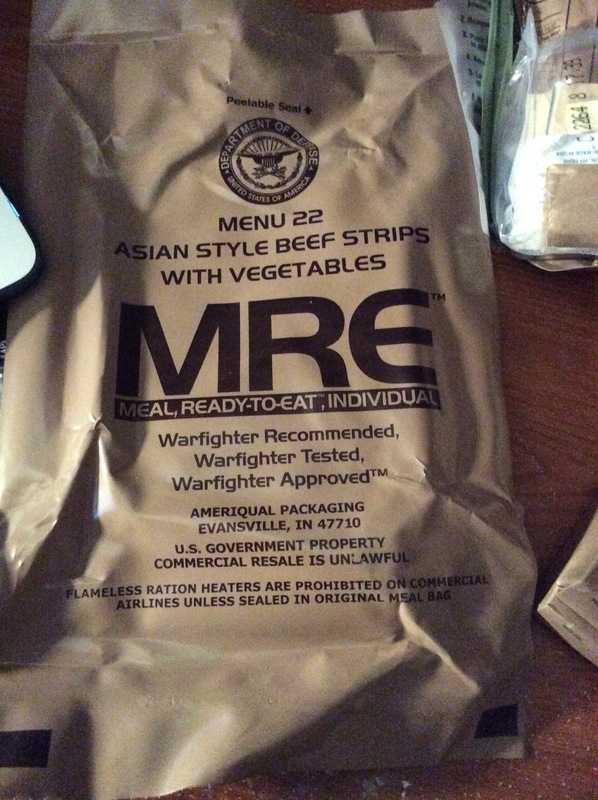 It led me to military rations, and Youtube videos which led me to all the different menus they have to offer, and there are ones you can get for civilians like XMRE and MREStar. You can find them on Amazon, Ebay, and even get some from soldiers willing to get them for you. They are issued them during field training, and they don’t like them at all. They are called meals rarely eaten, meals rarely edible, and all sorts of names. They are Department of Defense Rations and the first one came about in 1981. Ameriqual is the company that packages them. You can tell if it’s a genuine military ration since the Department of Defense seal is on them. It also says Warfighter Recommended, Warfighter Tested, and Warfighter Approved. A lot of research is online about the various menus and the changes they have been through. Some items have been added and some are taken away. One example of an MRE discontinued is Menu 4 the Cheese and Vegetable Omelet that went hands down as one of the worst MRES of all time. I have a Youtube channel, and since I got a hold of a ton of MRES I want to review them all which is why I made Monday MRE Review day. It’s fascinating and they last a while too. They have date codes listed on them and I just recently got this if it says 2275 it is the 275th day of 2012. They have a long history, and if you want more information on them then go to: mreinfo.com to see more. Youtube is also a good way to get more information on them, and there is even a community full of people who review military rations. I love watching their channels and they are part of the reason why I got into it in the first place. Here are the channels you can check out that review meals ready to eat, and these channels even review ones from other countries as well. I love reviewing these things, and I hope I can review other countries eventually and even some of the civilian ones. I enjoy doing it since it gives me a break from everything. I use a webcam to film the videos and Cyberlink Power Director to edit them. PS. Here is the link to my channel if you want to see my reviews of them. 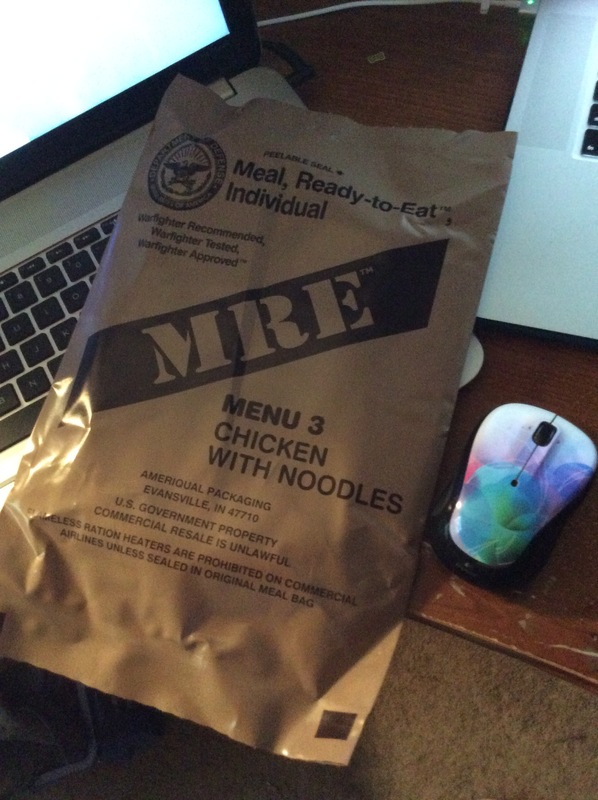 After some time off I’m going to try to do MRE reviews more since I have a lot of them left over. I love asian food, so this is straight up my alley. 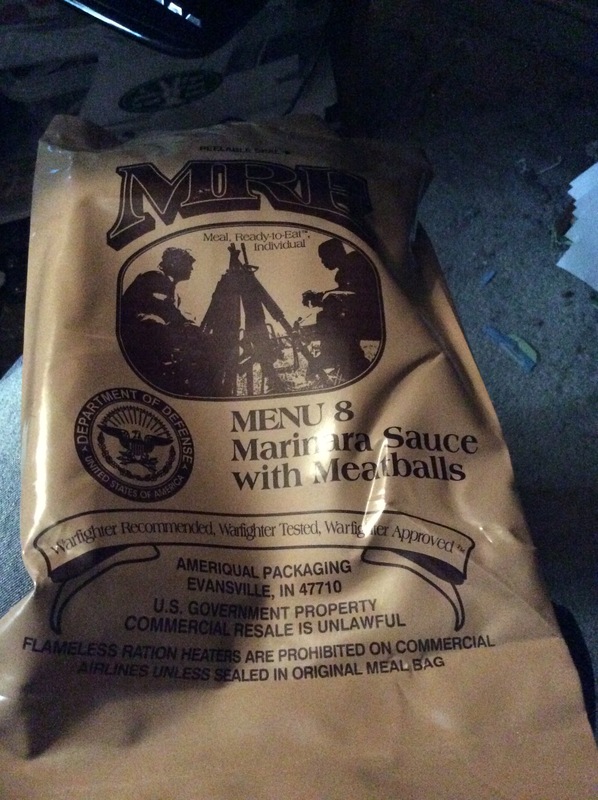 The MRE contains beverage bag, flameless ration heater, cocoa beverage powder, the entree with fried rice at the side. A spoon, apple jelly, chunky peanut butter, wheat snack bread, chocolate toffee, creamer for coffee, coffee, salt, splenda, gum, moist towelette, and toilet paper too. Everything you need if you are a soldier out in the field. This is actually one of the more popular menus too. Once I put the apple jelly and chunky peanut butter on the wheat snack bread it tasted like a pb and j. After the entree was heated up I combined it with the rice, and I was surprised about how good it was since it tasted like a stir fry. It has water chestnuts and peas. Even pepper carrots and beef. I loved it, and it’s a good meal for a soldier. That’s all for now the next MRE Review will be on Menu 19 Sloppy Joe Filling. I tried to upload the video here, but it was too big so I linked to it instead. The next review is going to be Menu 22 Asian Style Beef Strips with Vegetables. I have been after this one for a while ever since Youtube Emmymadeinjapan did her review for it, and instead of doing a video review I will just blog about it. I will also link to other Youtube channels I watch that review MRES too since I’ve been doing this for a while. I’m still trying to get a handle on being in front of a camera, so that’s why I will review some but not others on camera. At some point I’ll get over it to the point where I will have no issue with doing video reviews. Here is the review. 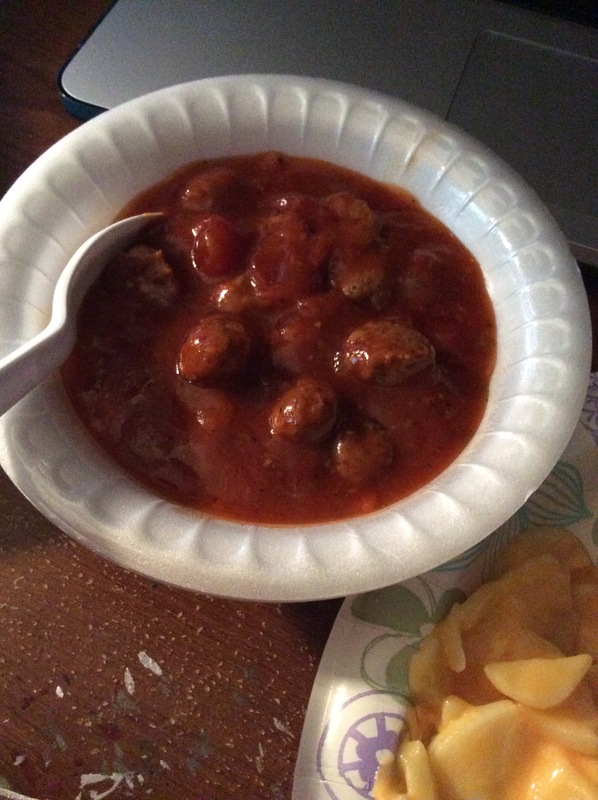 Items it comes with: Meatballs in Marinara Sauce, Au Gratin Potatoes, Wheat snack bread twin pack, First Strike energy bar, flameless ration heater, cheese spread, orange based powder, spoon, gum, toilet tissue, coffee and creamer, salt, splenda, and moist towelette. The entree tastes pretty good like the ones that come in a can. The meatballs are tender, and it tastes good. The potatoes taste good too, and it feels like a real meal to eat. The first strike energy bar doesn’t taste bad either, and once you add stuff to the bread it actually tastes good. 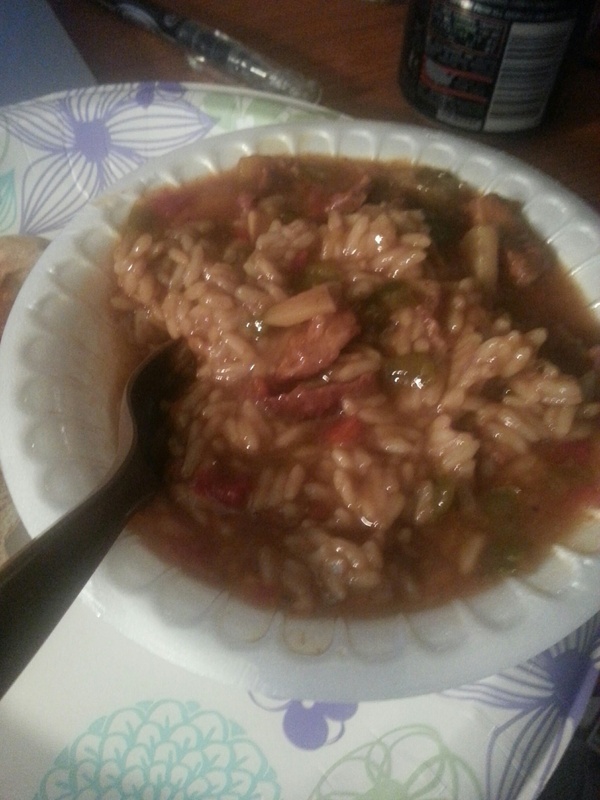 Overall not a bad meal if you are out in the field, and want something hearty and filling. gschultz9, gundog4314, and Kiwi Dude. I hope you enjoyed my review on Menu 8, and see you next Monday which is Menu 3 Chicken with Noodles.